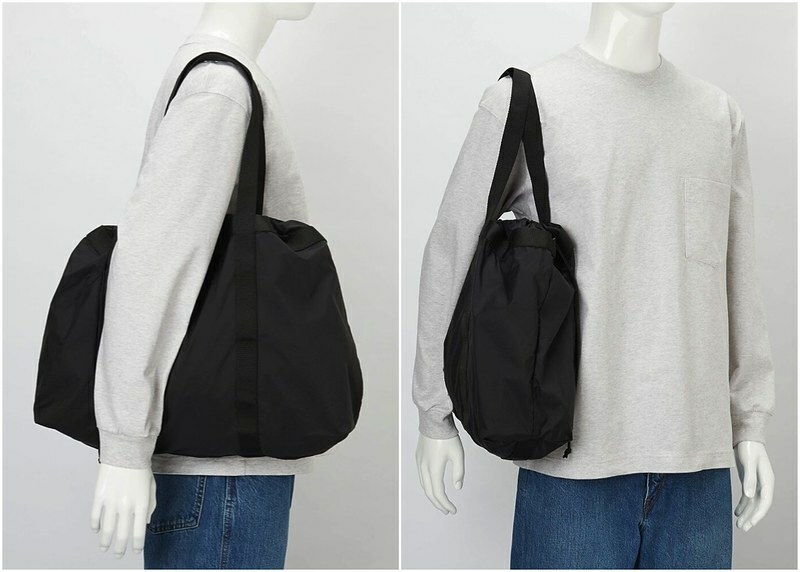 My favorite item from the Uniqlo U SS 2019 collection is the U lightweight bag in black. I held back from ordering more t-shirts though, so that could have been a contender. 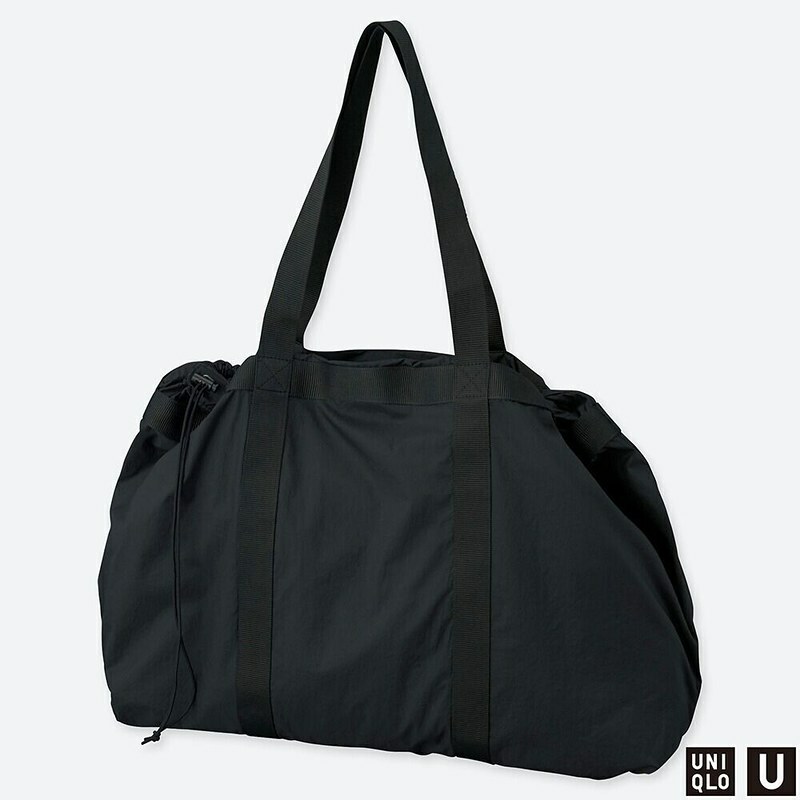 It’s a super lightweight nylon bag. It folds down easy for storage. It’s meant for light, bulkier contents. Measurements: Height: 15.3″/39cm, Width: 19″/48.5cm, Length: 5.5″/14cm, Handle Length: 22.8″/58cm. It hangs easily on the shoulder. 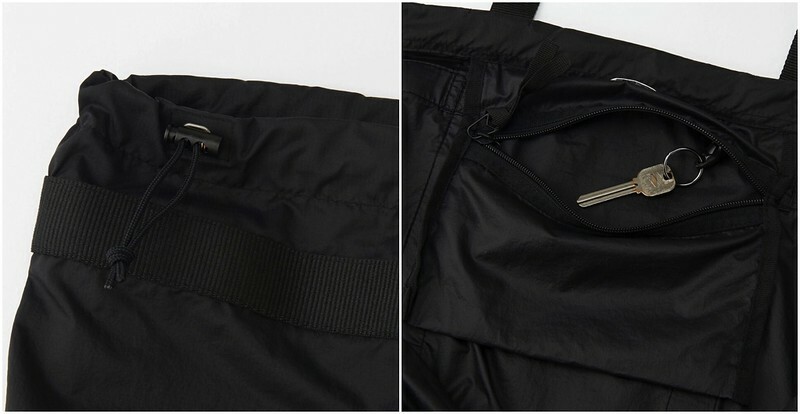 It has adjustable drawstrings on the ends. 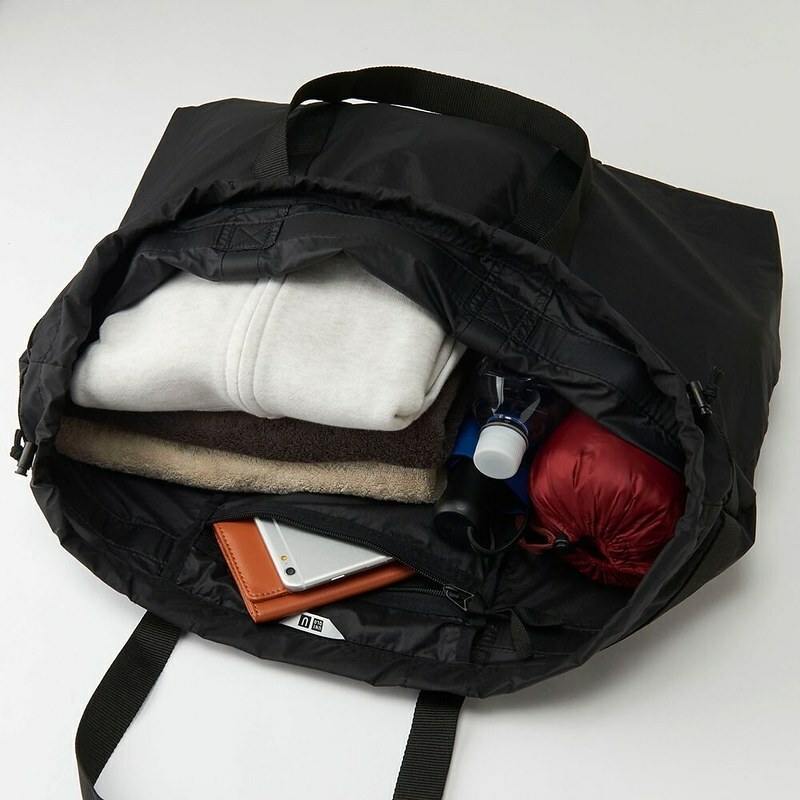 This makes it perfect for travel, especially if you want to protect any nicer bags. I personally hate putting most bags directly on the floor, x-ray machine, etc. The drawstring also makes the contents safer. At $29.90, it is pretty affordable. 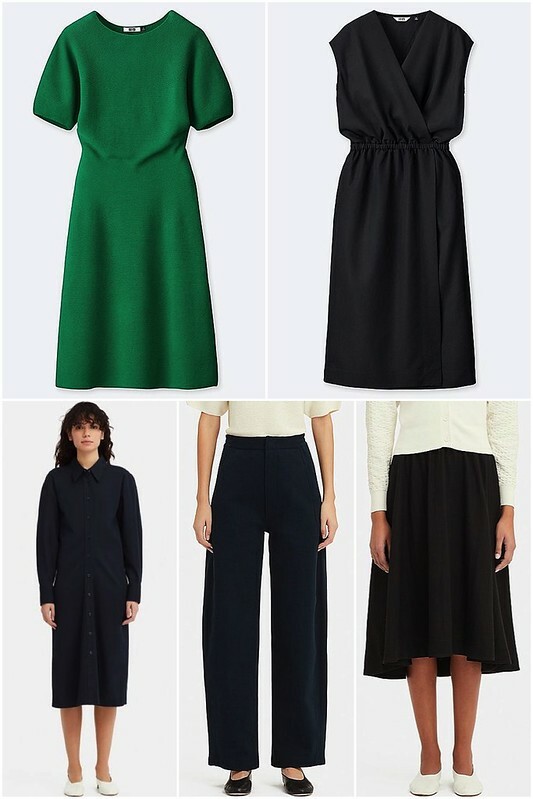 WOMEN U MIDI SKIRT – Soft rayon material. Runs big. 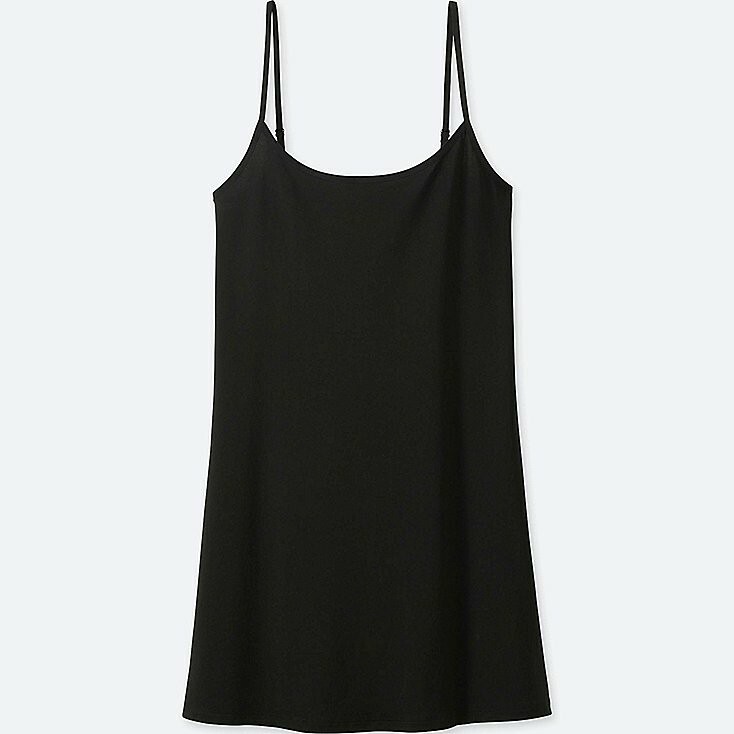 Verdict: No, because I don’t need it/it’s too casual for work. WOMEN U BIG LONG-SLEEVE SHIRT – Yes, it is called big and long. Maybe it would’ve worked if the material felt nicer? 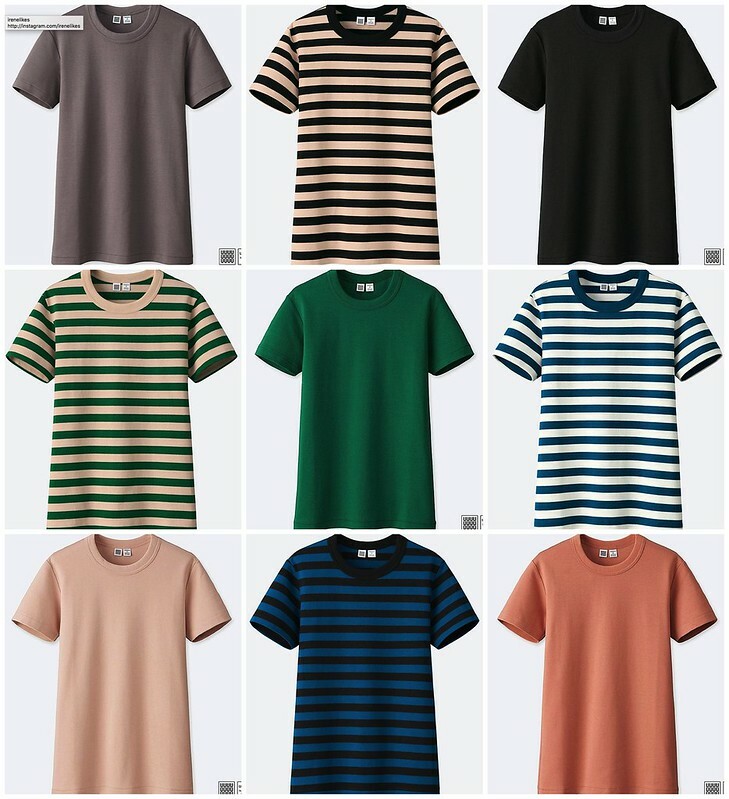 This was a great hit per the Uniqlo.com reviews. Verdict: Not for me. WOMEN U COTTON DOUBLE FACE PANTS – Wrong cut for me, but if it looks like it would work for you, get it! Verdict: Not for me. 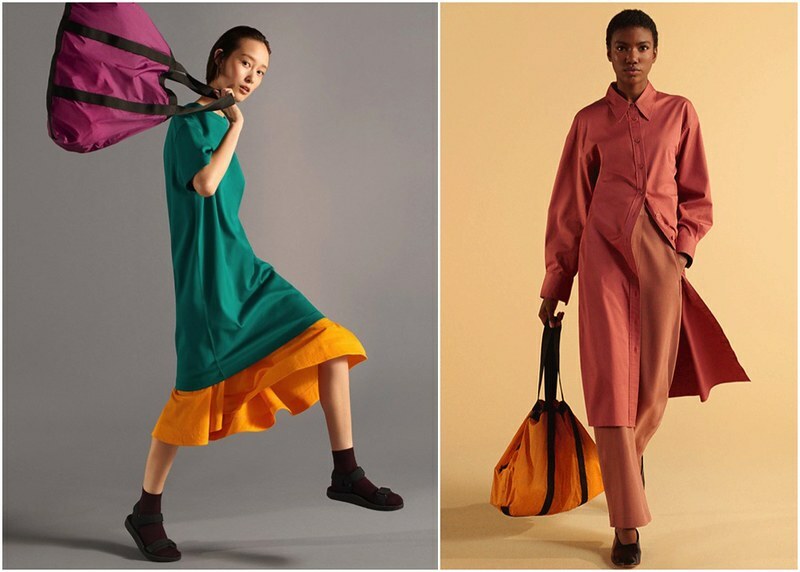 WOMEN U BALLOON HALF SLEEVE DRESS – It is a light knit sweater dress with a nice silhouette, but unfortunately, it is very clingy in the midsection, especially obvious in a bright color like green. Works best for those in great shape. The emerald green is so pretty. The blue is not a true navy. Verdict: Not for me. WOMEN U SHIRT LONG-SLEEVE DRESS – I didn’t have time to check to size chart for measurements. The material is very stiff. The fit is long and waist very slim. Verdict: Not for me.